Becoming a good connector takes a lot more than simply having an energetic personality or a knack for making friends. 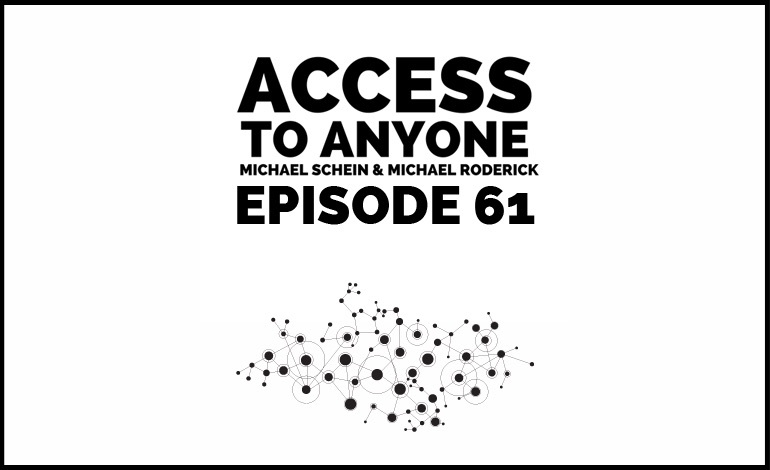 The world’s best connectors have mastered a very specific set of habits or steps that co-host Michael Roderick calls the Connector’s Path. In part one of our two-episode conversation, we break down the Connector’s Path to help you reliably make, build, and curate powerful connections. Then we show you how to shape those connections into a financial rewards.